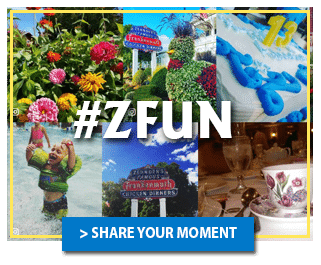 Zehnder’s of Frankenmuth which includes Zehnder’s Splash Village, Zehnder’s Marketplace and The Fortress Golf Course is asked to support thousands of worthwhile causes and events each year. While we make every effort to accommodate as many requests as possible, the sheer volume of inquiries make it impossible for us to honor each one. • Priority for donation support will be given to events with which our employees are involved as well as to organizations with which we have a business relationship. • All donations to organizations must have a 501(c)(3) status. • Only one donation request per organization per year will be considered. • Requests made less than 30 days prior to your event will not be considered.